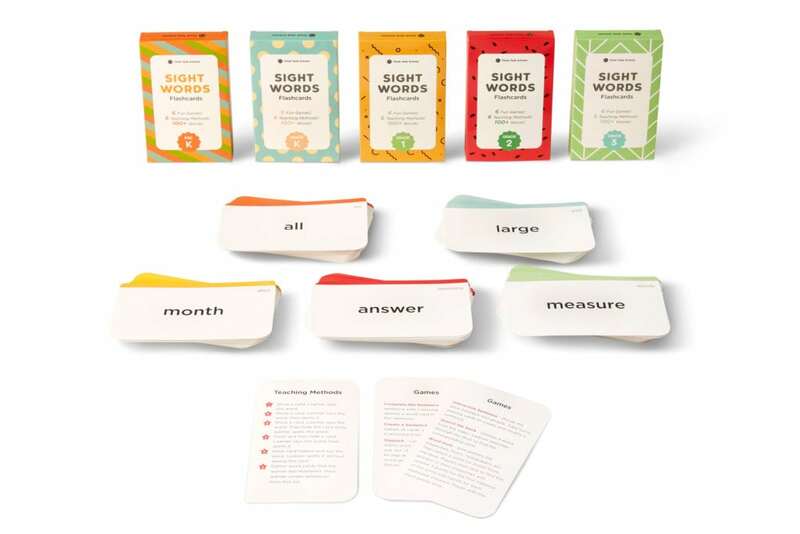 Think Tank Scholar Sight Words Flashcards help children learn and practice reading the most common words found in a children’s book. Comes in a set of 500 basic words designed to make learning fun for young learners with a non-distracting design and large bold print that helps students automatically recognize words. The flash cards are made from high quality card stock with a smooth laminated coating and rounded edges for easy sorting and handling. Each pack comes with 100+ sight words to help prepare students from grades Pre-K through 3rd grade. Each pack comes with a sequence of six teaching techniques and six fun educational games for kids. Sign up for our ENews and be the first to know the latest on toys & family must-haves, giveaways & gift and play ideas! © 2019 Epstein Custom Media, Inc. and The National Parenting Product Awards. All Rights Reserved.